Remote viewing what’s going on in your home on your phone, tablet PC or laptop. 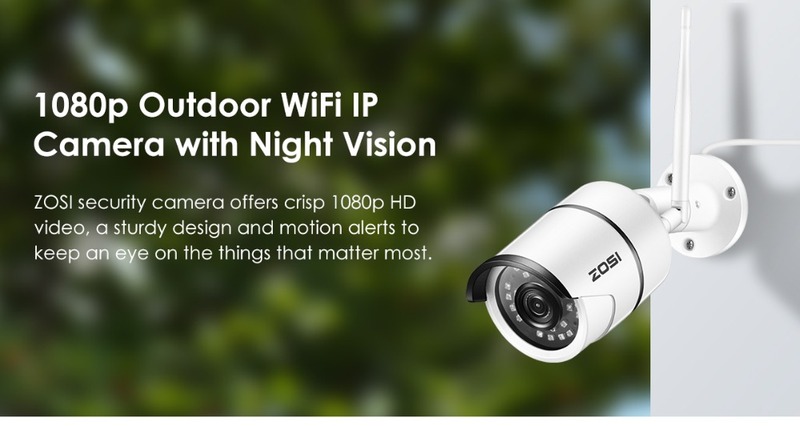 ZOSI security camera offers crisp 1080p HD video, a sturdy design and motion alerts to keep an eye on the things that matter most. 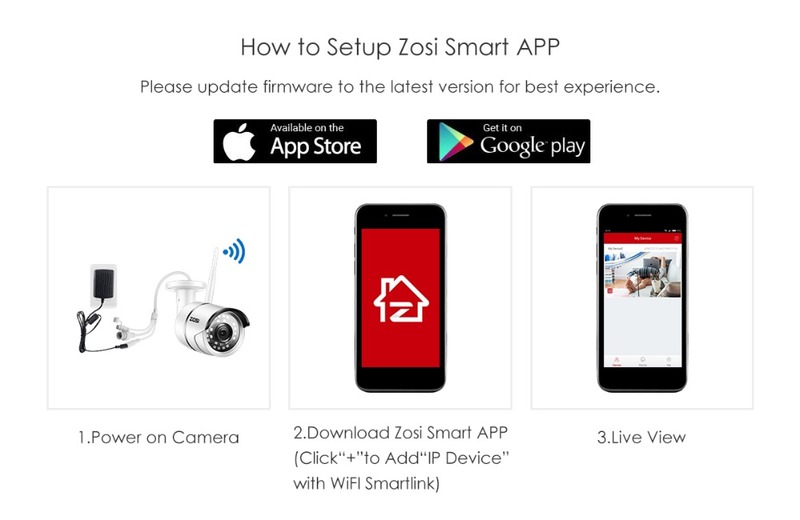 Save your time with a simple setup process that can get you up and running on the Zosi Smart mobile app. You don't have to be tech savvy to get setup quickly and painlessly. 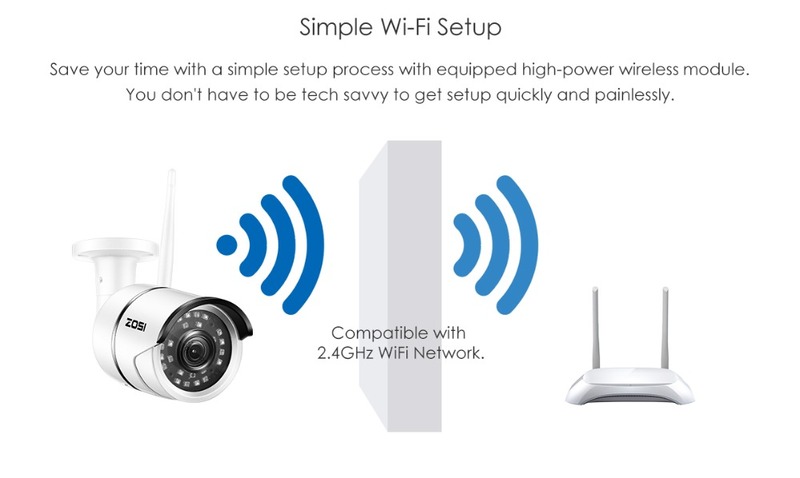 This camera only work with 2.4GHz WiFi ,not 5GHz. Please update firmware to the latest version for best experience. Remember that area your wired camera couldn't reach? Now it’s not a problem, you can secure almost any angle, indoors or outdoors. Support Iphone, Ipad, Android and PC. 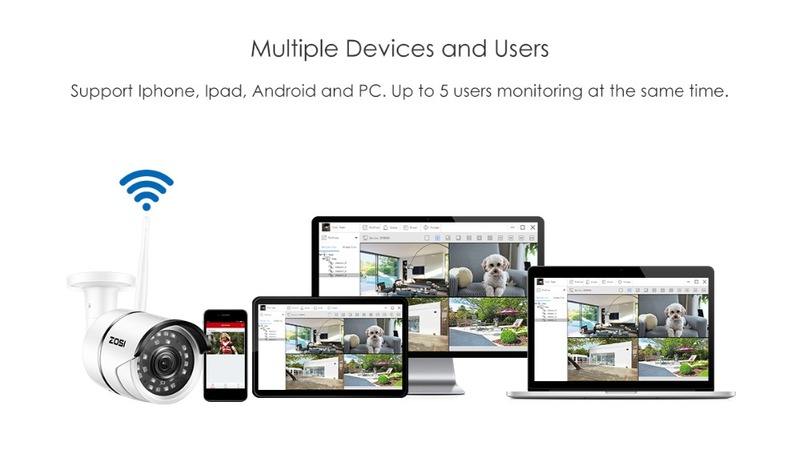 Up to 5 users monitoring at the same time. Adjustable motion sensitivity let you get the ideal setting for you and your home. 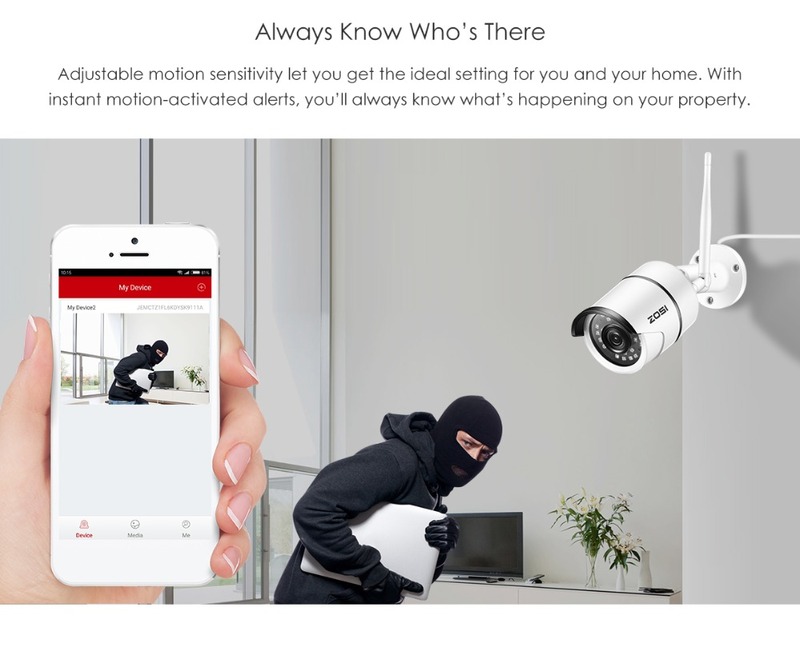 With instant motion-activated alerts, you’ll always know what’s happening on your property. 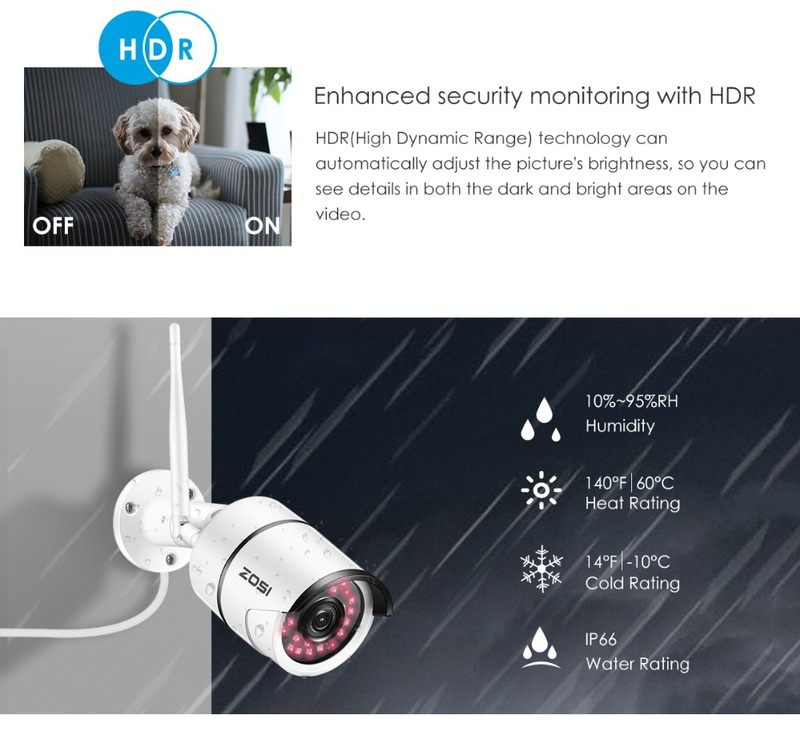 HDR(High Dynamic Range) technology can automatically adjust the picture's brightness, so you can see details in both the dark and bright areas on the video. Notice:SD Card is optional,it depends on the model you choose. Fail to subscribe, please try later!